Videos look different depending on which network they are published on. Find out how your video will look on Twitter, Facebook, and LinkedIn. Twitter allows native videos between 1:3 ratio (tall), and 3:1 ratio (wide), up to 140 seconds in length. Anything within that aspect ratio range, and under 140 seconds, will appear on the Twitter feed as a native video (with autoplay/sizing as per Twitter’s defaults). 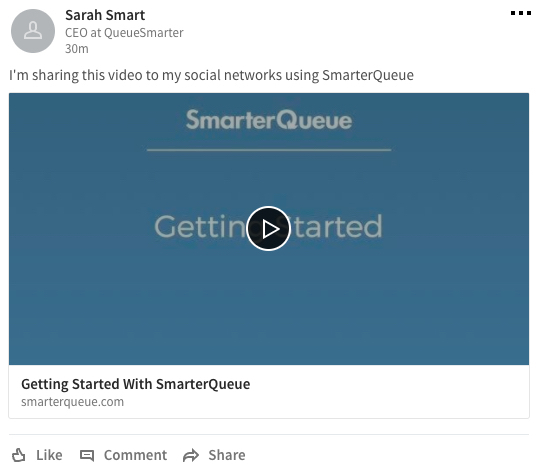 When your video is posted natively, it will start playing inline when users scroll to it in their feeds. 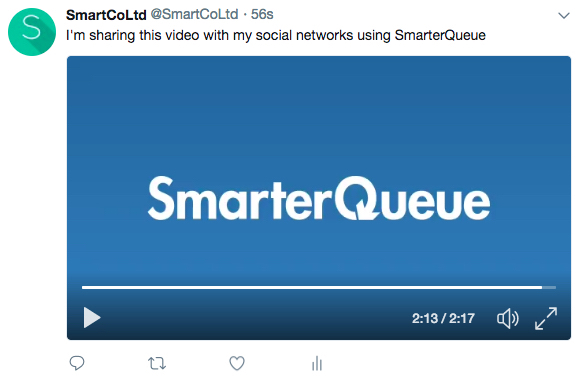 If you upload a video that doesn’t meet those requirements (usually if it’s longer than 140 seconds), we will post the video as a Twitter Player Card, where users can click to watch the video in SmarterQueue’s video player. Facebook’s documentation states they support videos with the maximum aspect ratio ranges of 9:16 (tall) to 16:9 (wide), but we’ve found that in practice, they will accept aspect ratios between 1:4 and 4:1. Videos can be up to 40 minutes long. 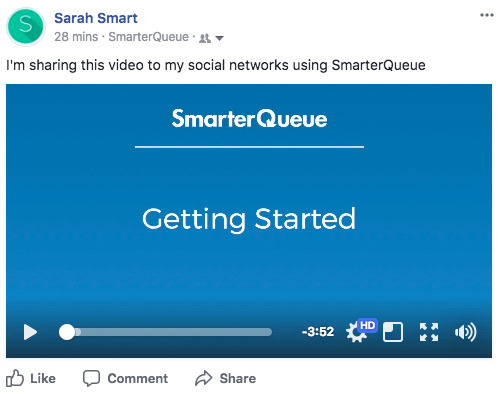 If you post a video within these size/length limits, it will appear as a native/inline video in Facebook, with Facebook’s default autoplay settings. If the video doesn’t fit within these limits, we’ll post a link preview of the video, using the thumbnail and video title that you set. The link will let your audience view the video in a new tab, on our video player page. 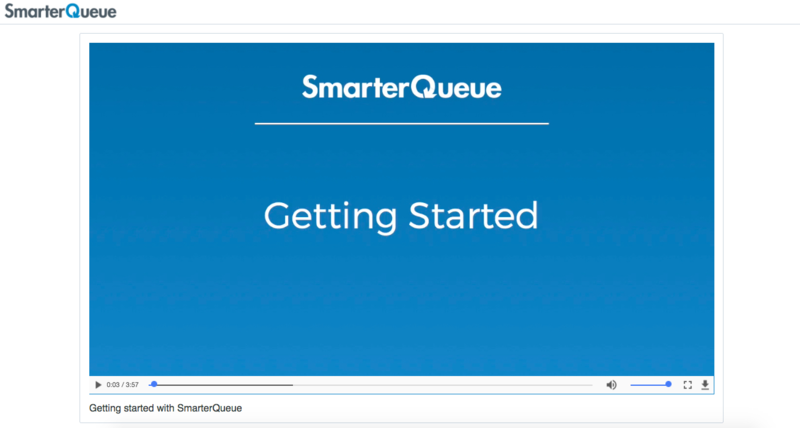 LinkedIn doesn’t allow native video uploads, so we post the video as a link preview. When your audience clicks on the preview, it will open the video in a new tab, and they can watch the video on our video player page.